Ed Palermo: "The Great Un-American Songbook"
OK, truth be told, this isn’t an entirely typical Monday evening at the Iridium. The guy in the cape—Ed Palermo—doesn’t always dress like this, and the band—the Ed Palermo Big Band—doesn’t normally lean so much on British prog-based repertoire. 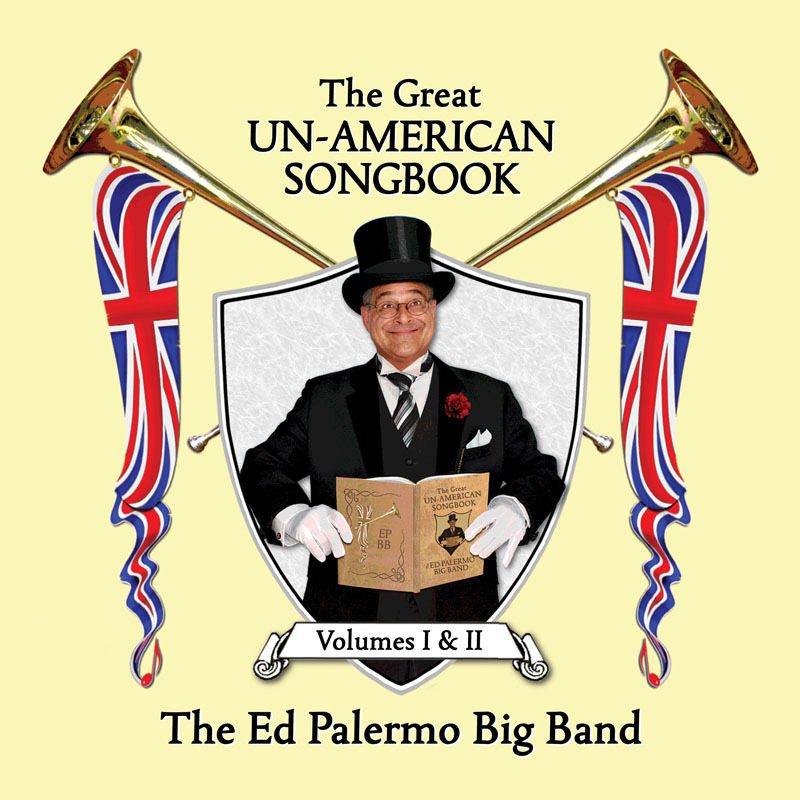 Tonight is a special night, the release party for the ensemble’s latest album, The Great Un-American Songbook: Volumes I & II (Cuneiform), which focuses on material by most of the artists mentioned above, along with the Rolling Stones, Cream, the Move, Jethro Tull, Procol Harum, even Blodwyn Pig. Still, in spirit, this show is entirely representative of what Palermo’s been staging in this midtown basement for the past decade: a goofily humorous tribute to his record collection that also doubles as a showcase for his formidable skills as an arranger. 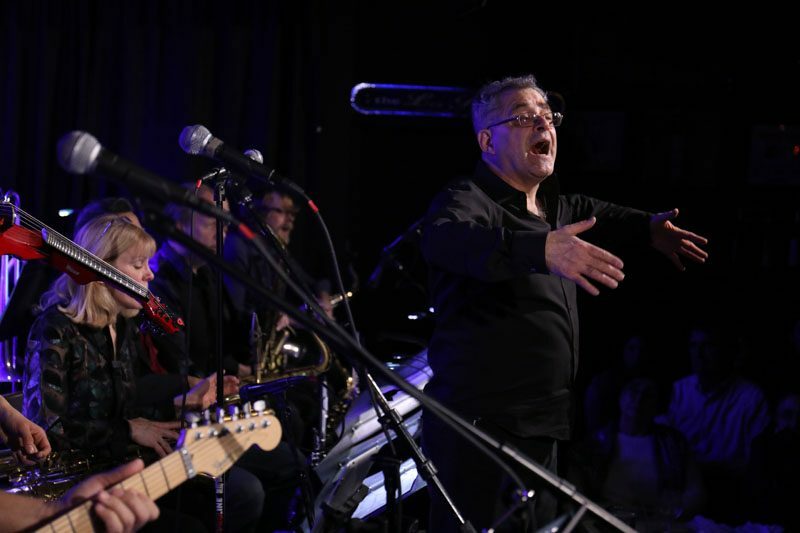 The Ed Palermo Big Band’s history goes back a lot further than the longrunning Iridium gig. Palermo has been leading an orchestra under his own name, on and off, for nearly 40 years, and for a good chunk of that time, his ensemble was playing a considerably different kind of music. The group’s first iteration, which concentrated mainly on Palermo’s own compositions, had a weekly slot at the hallowed Seventh Avenue South for three years in the late ’70s. It was eventually replaced by Gil Evans’ band, a move that Palermo handled with equanimity. “If I’m going to get kicked out by anybody, let it be Gil,” he says now. At the time, Palermo was also in the middle of a three-year stint with Tito Puente and establishing himself as a go-to session player. Palermo had found a new audience and a new purpose. In the 23 years that have passed since that fateful night on Bleecker Street, he has written and performed more than 300 Zappa arrangements. A nine-year residency at the Bottom Line has been followed by the current relationship with the Iridium. After getting cease-and-desist letters from the notoriously control-freaky Zappa estate, he’s played down the connection (although he still keeps Frank’s music in heavy live rotation) while reintegrating both original music and other works into his sets. Six albums have been added to his discography, and there are plans for more, including a collection of songs by Todd Rundgren—whom Palermo calls “every bit the songwriting genius that Cole Porter and Gershwin are, particularly on his ballads”—and a rearrangement of Edgar Winter’s Entrance in its entirety. You can get an advance taste of the latter project on the second disc of The Great Un-American Songbook, as a choice snippet of Winter’s “Peace Pipe” gets tossed into Traffic’s “The Low Spark of High-Heeled Boys,” turning a brooding, piano-led space-rock tune into an uptempo funk excursion with a whirligig sax arrangement—an unexpected yet somehow completely logical twist.